As more states continue to join the legalization bandwagon, our vision grows grander and our goal of expansion gains traction. And considering our East Coast roasts, we can’t wait to take our bus to less green pastures. One of our likely destinations is the legal land of Massachusetts, where cannabis will begin flowing like lobster rolls in 2018. When the summer of Sativa hits in 2018, our goal is to be a presence in the Massachusetts cannabis tourism market. “Because Massachusetts is on a less aggressive schedule to launch recreational sales, we are not as far along in our planning there,” Spatz said in an email to the Herald. “I intend to begin reaching out to state and local officials to discuss our model and make sure we can bring the same safe, reliable transportation service that doubles as mobile cannabis lounges to Massachusetts as we have in Denver now and hopefully LA & LV in early 2018,” he said. Moreover, as a follow up, our puff bus then fell under the Massachusetts’ cannabis committee’s apparent scrutiny. Thankfully, Jim Borghesani, spokesman for the committee, sounds open to our bus and sees what we can offer to his culture. 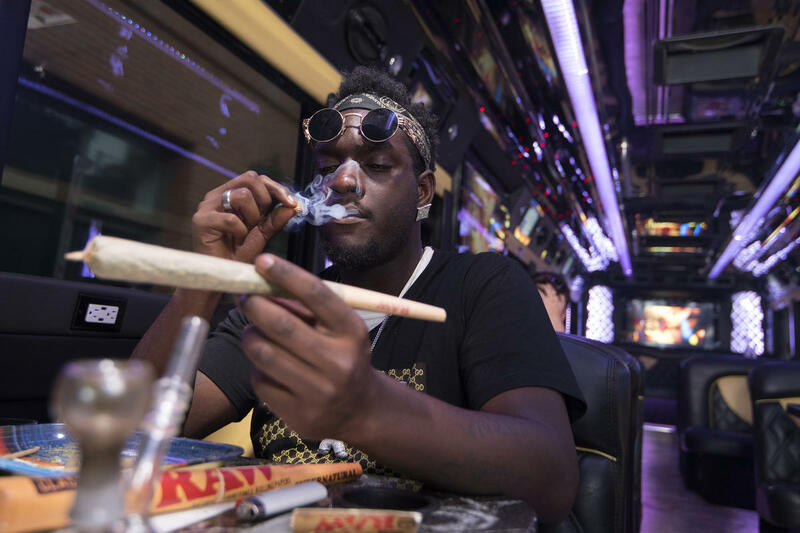 “We see these mobile cannabis consumption businesses as no different from the alcohol party buses or limousines that have long been permitted under Massachusetts law,” Borghesani said. If someone needs a 420 tour in Boston or the surrounding greater Massachusetts, we hope our mobile cannabis lounge providing weed concierge services will be on the ground to give people a place to consume!